UW-Milwaukee is designated as one of only 115 universities in the country as an R-1 doctoral research university by the Carnegie Classification of Institutions of Higher Education. The College of Nursing has been widely recognized for its innovation, leadership in the profession of nursing, and extensive collaboration with diverse community agencies. The College supports the University’s urban mission by responding to the health needs of individuals, families, groups, and populations in urban communities. As largest College of Nursing in Wisconsin, the College is home to the Harriet H. Werley Center for Nursing Research and Evaluation, the Institute for Urban Health Partnerships and two long standing academic nurse-managed health centers, the UWM Center for Global Health Equity, the Nursing Learning Resource Center and the Center for Nursing History & Gallery. The College is proud of our world class faculty, more than 1/3 of whom have been inducted as Fellows in the American Academy of Nursing. The College of Nursing faculty research portfolio includes funding for a National Institutes of Health (NIH) P20NR015339 Research Center in Self-Management Science. Additionally, junior faculty within the College value the close relationship by senior faculty mentors which make UW-Milwaukee attractive for faculty of all levels. The College’s commitment to career progression allows junior faculty to focus and establish research through research support, start-up funds, and direct mentoring relationships of established and internationally-acclaimed faculty. Want to learn more? Take a look at the College of Nursing’s Fact Sheet. Interested in being a clinical preceptor? 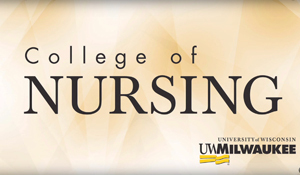 The UWM College of Nursing looks to the community within the greater Milwaukee area and other parts of the state for BSN prepared nurses to precept RNs returning to school and for MSN prepared CNS and NPs for students preparing for Advanced Practice positions as Clinical Nurse Specialists and Family Nurse Practitioners. Precepting is a great way to mentor new providers and counts towards recertification as well. If interested, please send your CV/resume to our preceptor coordinator, Kristin Swanson MSN, PNP.